I recently recommended a book to a friend, then offered to let him borrow my copy. I half expected him to refuse, not because he wasn’t interested in the book but because he is a tech-savvy guy: I figured he would rather read it on an e-device. So I was surprised when he accepted my offer, saying, as if surprised himself, that he has read so many books on his Kindle lately that he was craving the experience of reading and feel of a paper book. I think he’ll be really pleased when he reads this one (the one on top picture below, Bess Streeter Aldrich‘s Miss Bishop ). Just the texture of the cover puts me partly into the world of the story. There is a giant push in the publishing industry, as well as a movement in modern readership, toward e-publication. And as someone who edits for an online literary journal and makes much of her living online (including one e-published short story at Smashwords.com), I am grateful for this technology. At the same time, I still nurture that dream of some day walking into a bookstore and seeing my book on the shelf. (Or even better – seeing it purchased by an eager reader.) I cannot imagine any author not wanting this. But with the chances of landing an agent or publisher being so slim and the cost of self-publishing prohibitive for many, e-publishing is quite attractive. When I was in the seventh grade, I was part of a small research group that researched and proposed a new kind of virtual book. It was the mid-1990s, and we didn’t even have the internet available for us to do our research, so this was quite a far-reaching idea for the time. We hoped that we would win an award – and maybe even enough grant money to create a prototype. But while I was honored to be chosen to work on such a project, the idea of the product really bothered me. Everyone else in the group was excited to create some virtual experience that would make people never want to go back to the traditional books again. I quietly kept my qualms to myself. I doubt it was just my feelings about the project, but it never went anywhere. That doesn’t mean, of course, that the industry didn’t move forward without us. 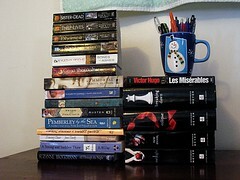 And there is a great use for e-books – don’t misread what may sound like a lack of enthusiasm on my part. I have a friend who travels all over the world and is also an avid reader. Her Kindle is her best friend. She can load eight or nine books on it for her trip and never have to worry about all that extra bulk in her luggage. Tablets have so much going for them, and they only get more sophisticated as time goes on. Some books are only available via e-reader, and it’s much more convenient reading them on a tablet or a smartphone then having to sit at your desktop every time you want to read. I’ve purchased several books and read them this way, and what’s great is that I can read and fold laundry at the same time, not having to worry about the book flipping itself closed. If I ever end up some place with only my phone to keep me company, I have any number of public domain books available with one swipe. So why would I ever need a physical book again? I mean, aside from wanting to publish one, of course. It would do me no good to see one on a bookstore’s shelf if people suddenly decided they didn’t want books anymore. But they still do. Even though they cost more. Even though they take up space. 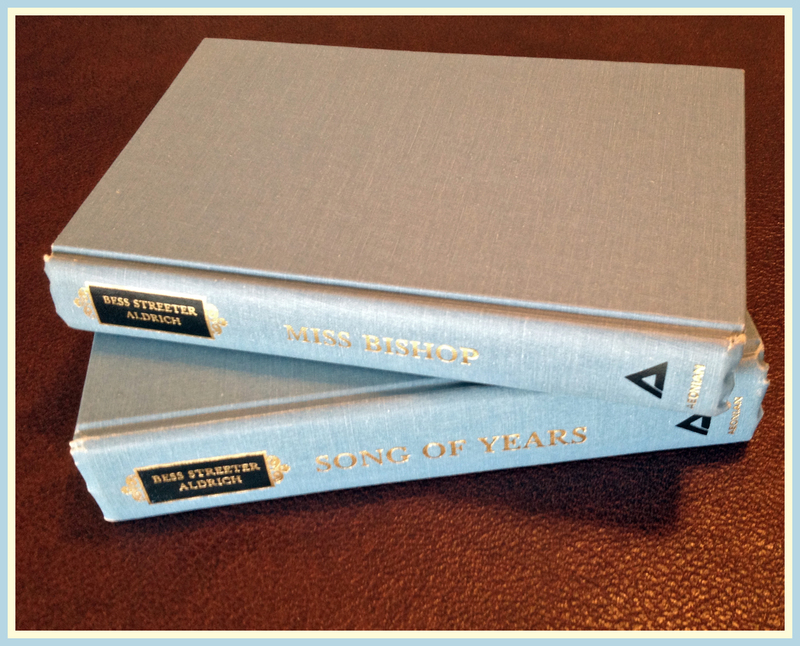 I would have to argue that there is something viscerally satisfying – and I’m not talking about eating the pages. It’s something in the feel of a physical book that trumps the convenience of e-books. Especially if, like my friend, you haven’t read one in a while. It just feels good to run your fingers over the pages, to hear that rustle of paper. Sometimes the texture is fine. Sometimes the pages are thick. And when you’ve been with a book for a while, you wear it in like a good pair of shoes. You know the feel of it in your hands, and it’s not just the story you miss when it’s gone. I also like to see my progress, especially on a really thick book (my favorite kind). I feel like I’ve accomplished something as my bookmark moves from the front to the back. Oh, and bookmarks. How could I forget bookmarks? My friend Georgene, artist extraordinaire, made this one for me – isn’t it gorgeous? 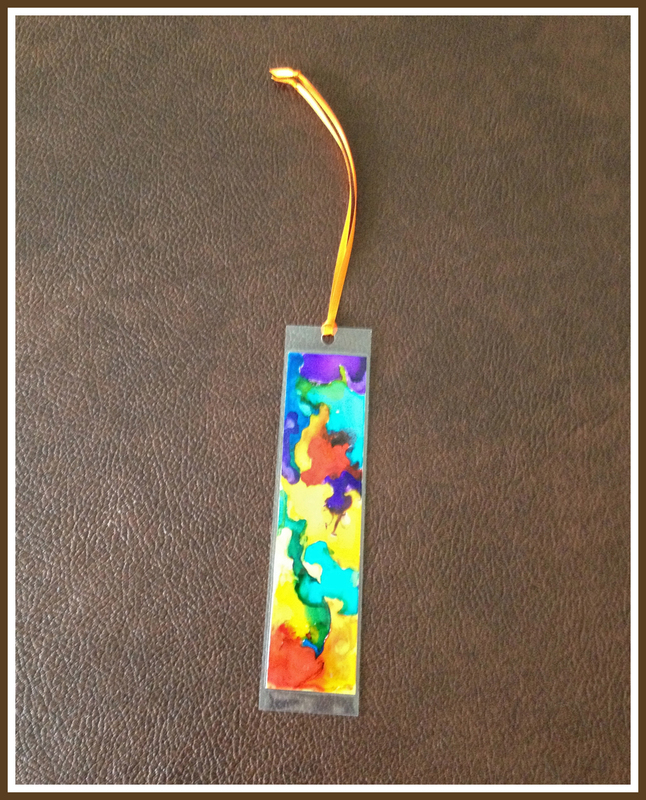 I confess that while some people have a shoe fetish or an obsession with jewelry, I have a thing for bookmarks. It’s best that I avoid the accessory section in general at bookstores because I’m liable to spend just as much on those little things as the books themselves. Oh wait – e-books come with bookmarks already in the program. Which is good because your kids can’t pull the bookmarks out and make you lose your spot. But then you also don’t have your friend’s art or Edward Cullen or Harry Potter looking at you every time you mark a page. You might have many more reasons why you still keep books on your shelves – or why you continue to buy them. Or maybe you take issue with my whole argument. But if you do, I have one more thing I would like for you to consider: remember my friend and the book I’m lending him? Well, that wouldn’t be possible if another friend hadn’t bought the book for me to begin with. This, I think, has to be my favorite thing about owning actual, paper books. I love giving and receiving them as gifts. (There’s something so personal about giving a book you know will speak to someone.) I love lending them to others, and I’ve discovered so many wonderful books that I never would have known about if friends hadn’t lent them to me. My parents still have books that belonged to my dad when he was a kid, and the third generation is enjoying them now. We enjoy a person-to-person library system with no due dates, and as long as you’re careful about who you share with, it always pays off. I am absolutely not advocating that we boycott e-books and e-readers. Just the opposite: I am grateful that we have the choice. What I am saying is that you don’t have to buy into the commercials that try to convince you that anything without an “e” in front of it is going the way of the T-Rex. After all, people still run outside, even though we have treadmills. And we bake cakes from scratch, even though we have cake mixes. We do what works for us, given our individual situations, and when a friend decides to share a book that might take up some space on your table or in your purse, it’s still an offer well-worth accepting.